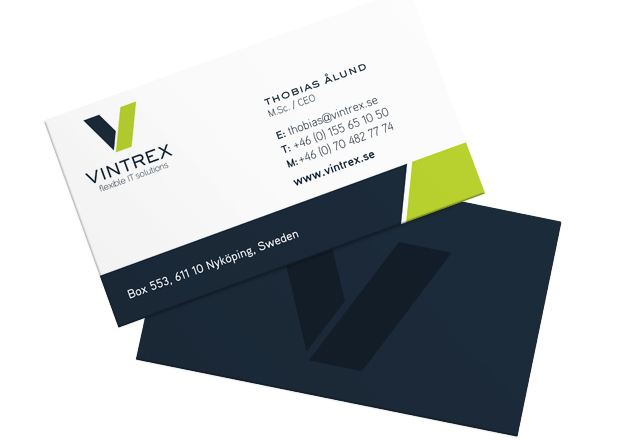 Establishing a new identity for Swedish IT consultancy, Ålund Datateknik, for its rebrand to Vintrex. We designed a vibrant logotype in dark grey and zingy green featuring a V symbol that can be used flexibly across all of the company’s branding. We also developed a strapline to go with the logotype as well as stationery items.